Summer is in full swing, and the WTTW garden is growing like crazy. Lots of veggies are ready to pick and eat. Don’t worry about impatiently cutting the first ripe eggplant in your garden; harvesting vegetables as soon as they’re mature helps plants generate more produce. Nolan drops by the WTTW garden to talk with Phil Ponce about harvest season, and share best techniques for picking your produce. June 29: Organic gardener Jeanne Nolan explains how to keep your gardening soil productive and shares tips for succession planting. May 25: Plump, sun-ripened tomatoes are indisputably the crown jewel of home vegetable gardens, and a successful tomato crop means giving them the best start possible. 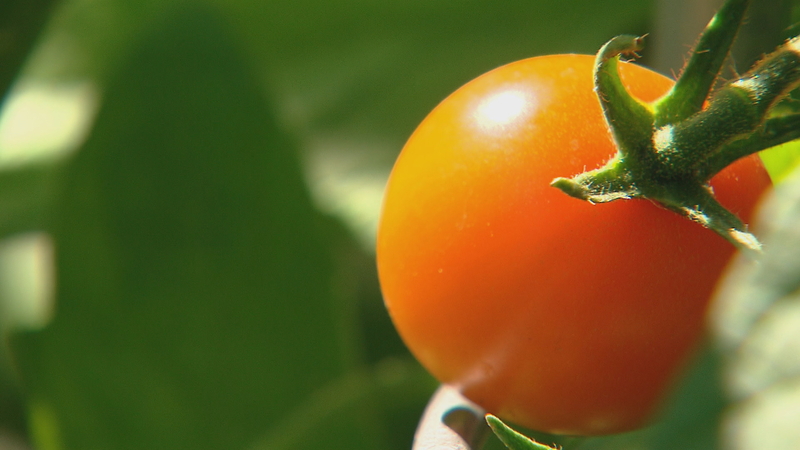 The Organic Gardener Jeanne Nolan shares her tomato tips. May 9: It may not seem like gardening weather, but The Organic Gardener Jeanne Nolan says now’s the ideal time to plant lettuces, radishes and peas which thrive in cooler temperatures.